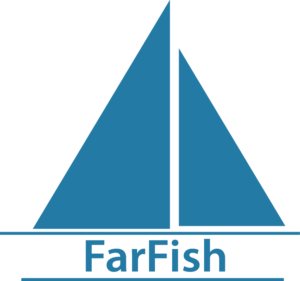 FarFish will provide a better knowledge base of these fisheries and encourage resource users to actively take part in the management, thus empowering them, generating a sense of ownership and enhancing compliance. FarFish has the highly ambitious aim of addressing main limitations that are hindering full implementation of the reformed Common Fishery Policy in relation to fisheries in non-EU waters. By the end of the project, FarFish will offer a robust framework and guidelines towards increased cooperation between the EU and contracting countries, which will include a roadmap towards improved sustainability and responsible fisheries. These roadmaps will be robust and adaptable as they will be created and tested, not only in selected West African waters, but also in the Indian Ocean and selected international waters that are relevant for the EU fleet. By significantly advancing biological and ecological knowledge in these waters, thoroughly examining the existing management tools and models and suggesting improvements, the vision of FarFish is to remove main barriers towards implementing Maximum Sustainable Yield as a management tool and enable the concept of “surplus” catch in SFPA fisheries. FarFish will take this a step further and add a socio-economic angle to its work, with the aim of improving value chains and creating a platform for increased cooperation between the EU, third countries and other foreign fleets the EU shares fisheries resources with.